In June 1940—eighteen months before the bombing of Pearl Harbor—Anglo American MI6 agent Roy Hawkins is mysteriously rushed from Nazi-occupied Paris to New York. Enraged at being ordered away from what he believes is the real fight against Nazism and Fascism, he wants to get back to Paris as soon as possible, even though he knows it means almost certain death. In New York he is shocked and sickened to encounter a now-alien America increasingly dominated by right-wing extremists, including a new radio celebrity, Walter Ventnor. After a tense encounter with his friend and mentor William Stephenson, he agrees to temporarily pursue a Nazi commercial envoy, Hans Ludwig, and try and stop him from stealing American submarine warfare secrets. Hawkins follows Ludwig to the elite Saratoga racing meeting, where Ludwig is cultivating top American business leaders. There he meets the scion of an ancient and aristocratic New York family, Daisy van Schenck. After persuading Daisy to throw Ludwig out of the mansion he has rented, Hawkins finds himself increasingly attracted to her, and to the possibility of a different life. When Hawkins discovers a Nazi plot to rig the presidential election, he is forced to choose between duty and the woman he loves. In June 1940—eighteen months before the bombing of Pearl Harbor—Anglo American MI6 agent Roy Hawkins is mysteriously rushed from Nazi-occupied Paris to New York. Enraged at being ordered away from what he believes is the real fight against Nazism and Fascism, he wants to get back to Paris as soon as possible, even though he knows it means almost certain death. 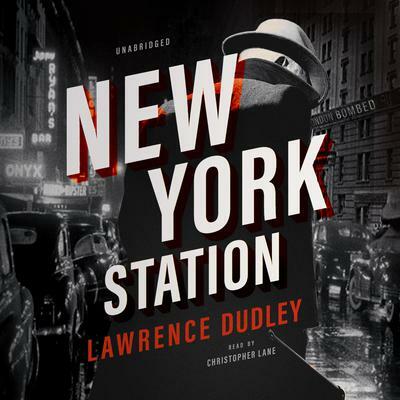 In New York he is shocked and sickened to encounter a now-alien America increasingly dominated by right-wing extremists, including a new radio celebrity, Walter Ventnor. After a tense encounter with his friend and mentor William Stephenson, he agrees to temporarily pursue a Nazi commercial envoy, Hans Ludwig, and try and stop him from stealing American submarine warfare secrets. Hawkins follows Ludwig to the elite Saratoga racing meeting, where Ludwig is cultivating top American business leaders. There he meets the scion of an ancient and aristocratic New York family, Daisy van Schenck. After persuading Daisy to throw Ludwig out of the mansion he has rented, Hawkins finds himself increasingly attracted to her, and to the possibility of a different life. When Hawkins discovers a Nazi plot to rig the presidential election, he is forced to choose between duty and the woman he loves. 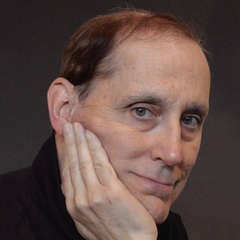 Lawrence Dudley, a graduate of NYU, has had a variety of careers: assistant museum curator, radio telescope operator, and lead reviewer and feature writer for the Saratogian newspaper, covering the Saratoga Performing Arts Center and its resident companies, the New York City Ballet, New York City Opera, the Philadelphia Orchestra, and special events. Dudley is a media and advertising consultant, a web developer, and a professional political campaign manager.